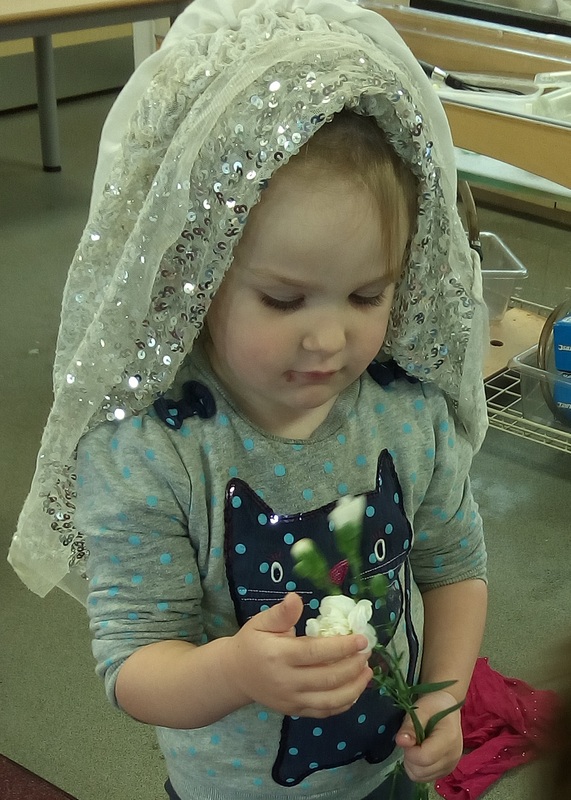 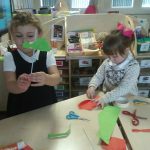 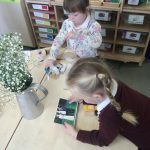 After one of the children found some flowers for a bouquet and pretended to get married, Nursery began to learn about weddings. 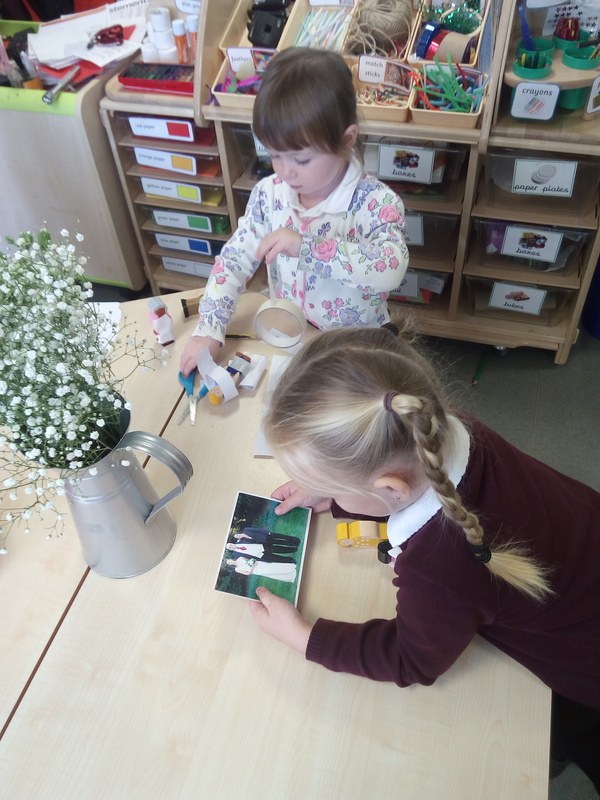 Our families brought in some fantastic wedding photos and we talked about what happens when people get married. 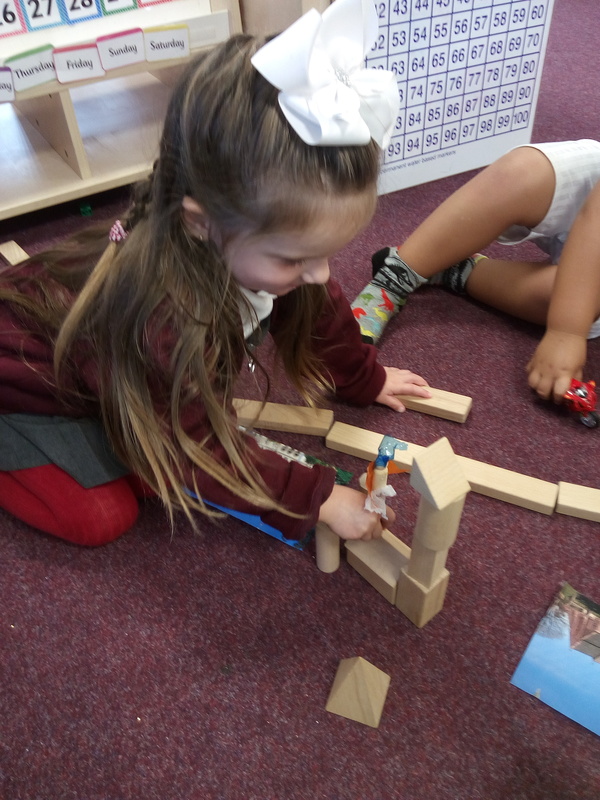 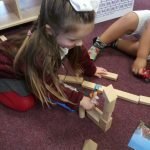 We used blocks to make religious buildings and peg dolls for brides and grooms. 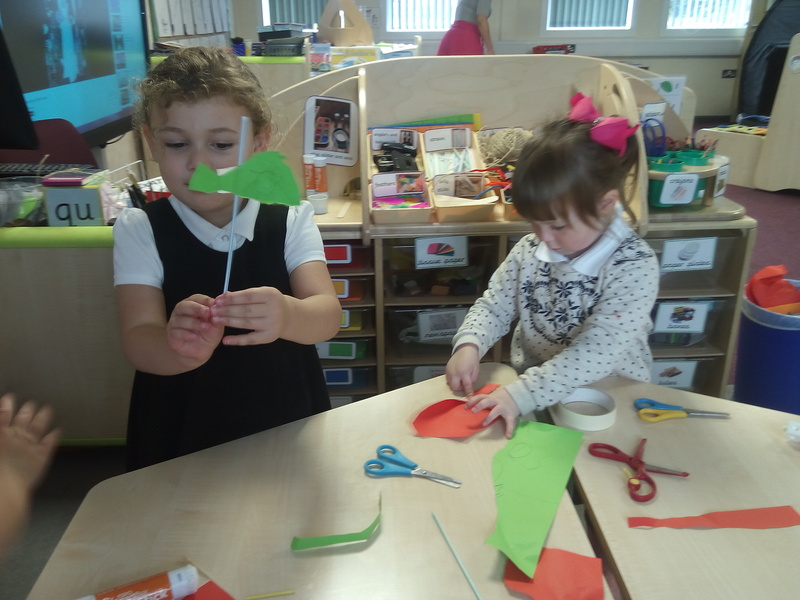 We read the story of Cinderella which ended with her wedding to Prince Charming and we acted this out in our play. 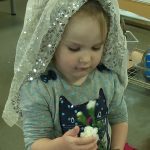 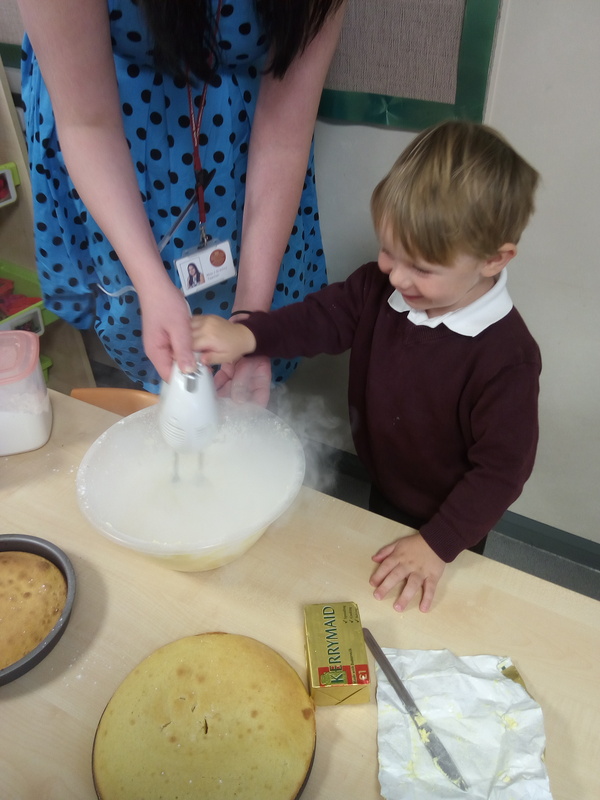 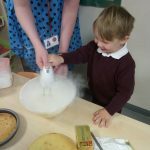 We made our own wedding cake, wedding rings and confetti and at the end of the week we dressed up and held a pretend wedding ceremony.